Final Fantasy VII owned by Square Enix. The game that catapulted the Final Fantasy brand to superstardom, Final Fantasy VII is an enduring classic. It follows the troubled path of Cloud Strife, a former SOLDIER with strong, disturbing ties to Sephiroth, the greatest warrior of any generation. 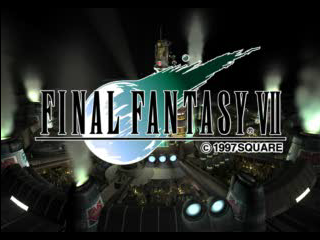 Together with terrorist group AVALANCHE, Cloud battles the evil Shinra Corporation for the good of the planet. Released for the PlayStation in 1997, Final Fantasy VII was the first game in the main Final Fantasy series to feature three-dimensional graphics, moving camera angles, cinematic scenes, and game play spanning multiple CD-ROMs. Final Fantasy VII proved a smash hit, marking the franchise's rise to roleplaying prominence in the west. Years after its release Square Enix created a series of prequel and sequel titles revolving around Final Fantasy VII's central story, but none quite eclipsed the original's fame. Though its status as the best Final Fantasy is debatable, Final Fantasy VII certainly remains one of the most important entries in the series. Some day there will be a remake. Some day. Final Fantasy VII was ported to the PC in 1998, and this slightly-shinier version is currently available on Steam. The differences between the original and the port are fairly negligible, though you may have to put up with several characters - notably Sephiroth - wandering around with their mouths perpetually open. I was lucky enough as a kid to own the original game for the PlayStation, so all screencaps found in this walkthrough will come from a title devoid of silly mouths. Take that.